Sangeang Api volcano is one of the most active in the Lesser Sunda Islands. It forms a small 13 km wide island off the NE coast of Sumbawa. 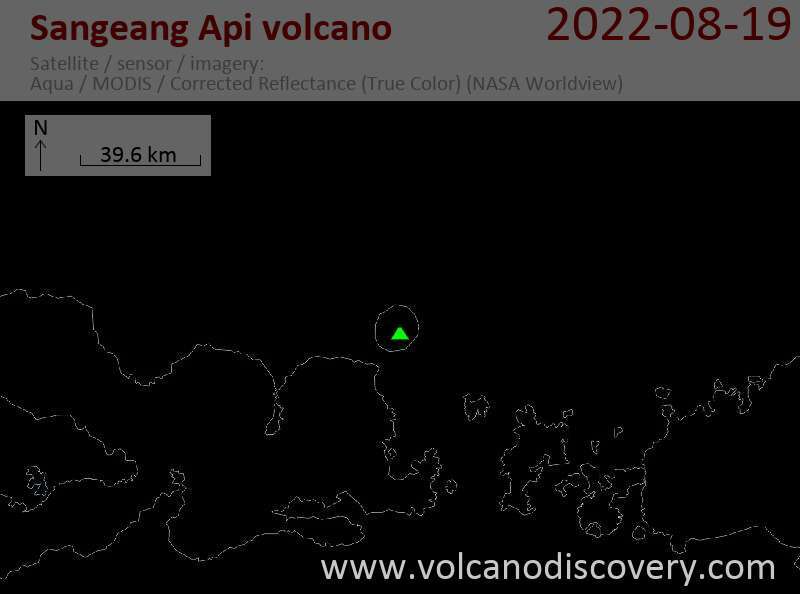 Sangeang Api Volcano consists of 2 overlapping cones: active Doro Api (1949 m) and the older cone and Doro Mantoi (1795 m). Sangeang Api's eruptions are often effusive with lava flows accompanying strombolian activity following an initial explosive phase. 1985-88, 1966, 1964-65, 1958, 1957, 1956, 1955, 1954, 1954, 1953, 1927, 1912, 1911, 1860, 1821, 1715, 1512. VSI decreased the alert level from 3 to 2 ("Waspada", on a scale of 4), as seismic activity has decreased recently.